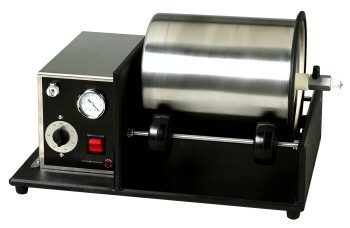 Vacuum meat tumblers for restaurants, delis, meat plants and meat markets. Vacuum tumblers work by pulling a vacuum on your meat and marinade mixture, then rotating the drum for about 20 minutes. During this tumbling time, the protein will absorb the marinade. The finished tumbled product will be moisture, be more tender, cook quicker and have more flavor than non-tumbled product. 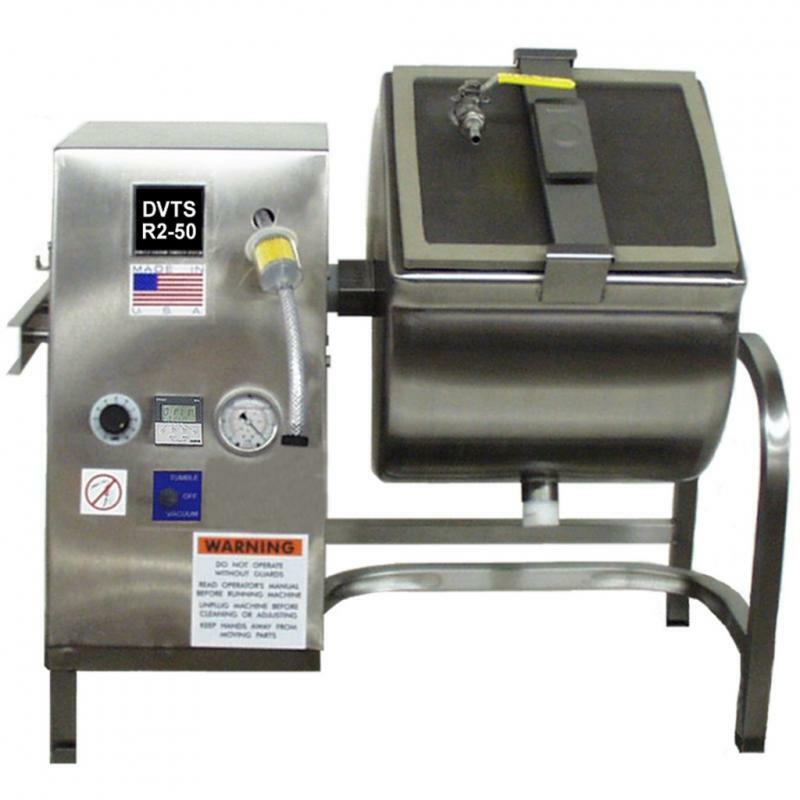 Vacuum meat tumblers for restaurants, delis, meat plants and meat markets. We use durable stainless steel construction and offer variable speeds, digital timers, self-contained vacuum pumps and a range of other features based on model. Check out our range of vacuum tumblers. Vacuum tumblers work by pulling a vacuum on your meat and marinade mixture, then rotating the drum for about 20 minutes. During this tumbling time, the protein will absorb the marinade. The finished tumbled product will be moisture, be more tender, cook quicker and have more flavor than non-tumbled product.